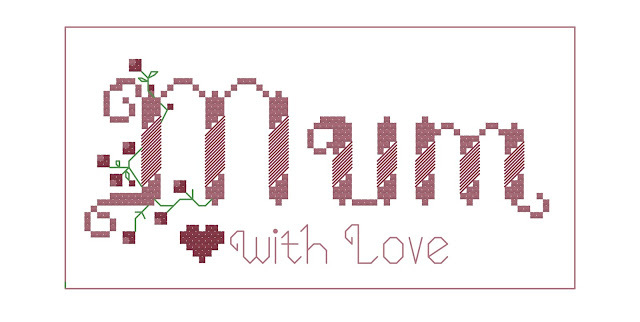 Happiness is Cross Stitching : Mother's Day on Sunday in England! Mother's Day on Sunday in England! 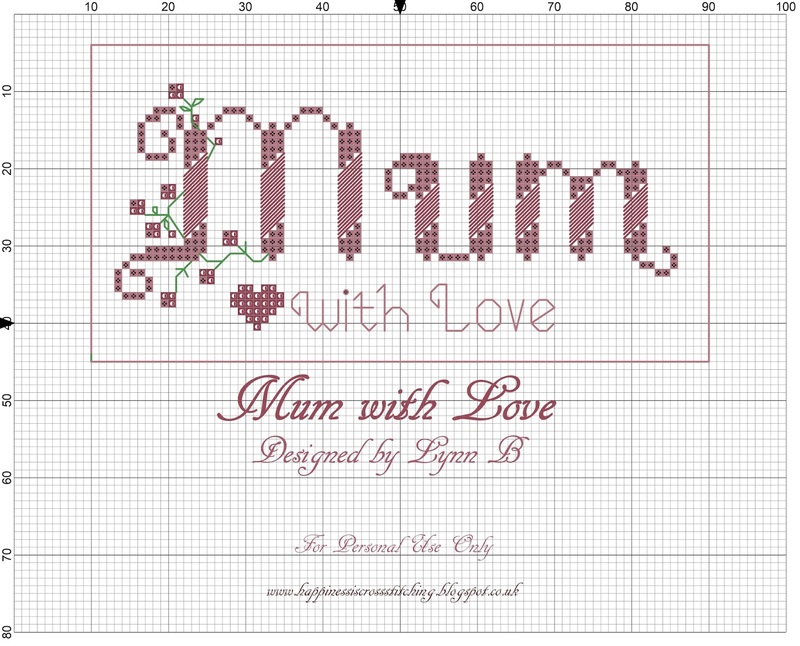 Hi everyone, I thought I would show you my latest finish, it is Mother's Day on Sunday in England and this is a design I put together for my Mum. There is quite a lot of work in this even though it may not look much, I was surprised at how long it took me to stitch it! 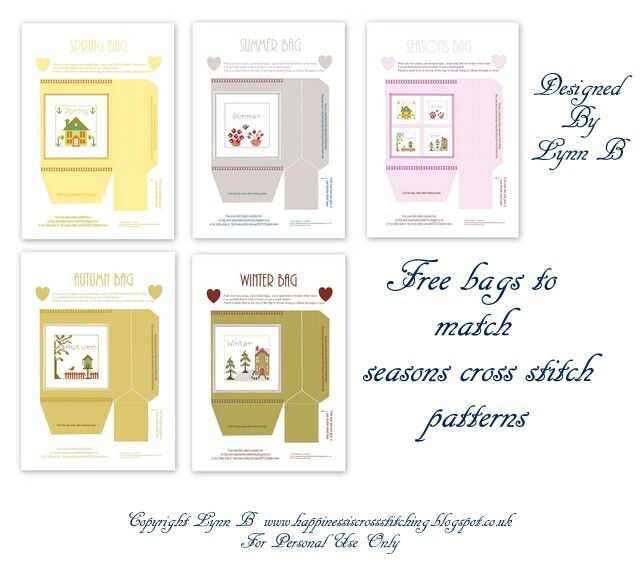 I designed both the pillow pattern and the scissor fob, I have included the Mum pattern as a freebie in this post but you can also get the Pillow and Scissor fob pattern including the thread colours used from my Craftsy store here if you prefer the more detailed pdf pattern. I think it will look nice stitched in different thread colours, perhaps lilac and yellow or bright blue perhaps? So beautiful! Mother's Day in the US is not until May. Your Mother will love this. Hope you have a great Mother's Day and that your family pampers you -you so deserve it. It really is very pretty, love the colour and the way it's finished too.... Simply lovely. Love the colors, it's gorgeous Lynn. Thanks Lynn for sharing it as a freebie. Wishing you and your mum, Happy Mother's Day. Our mother's day here is in May. Very pretty. 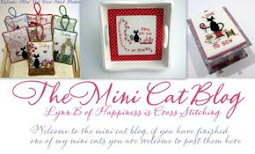 Love the inclusion of the hearts on the scissor fob. What a pretty design! I love the flowers trailing up one side of the M.
It's a beauty, Lynn, thank you. I no longer have a mom or a mom in law so I may just stitch this for myself. :) Enjoy Mom's Day. 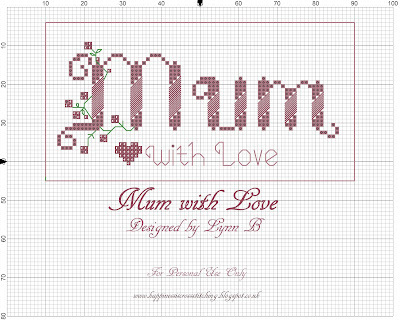 Such a pretty design and the perfect gift for your mum. Lovely! Your mother is lucky to have such a creative daughter! In Holland Mothers Day is in May. And in France??? Thanks for a nice pattern, its so lovely. 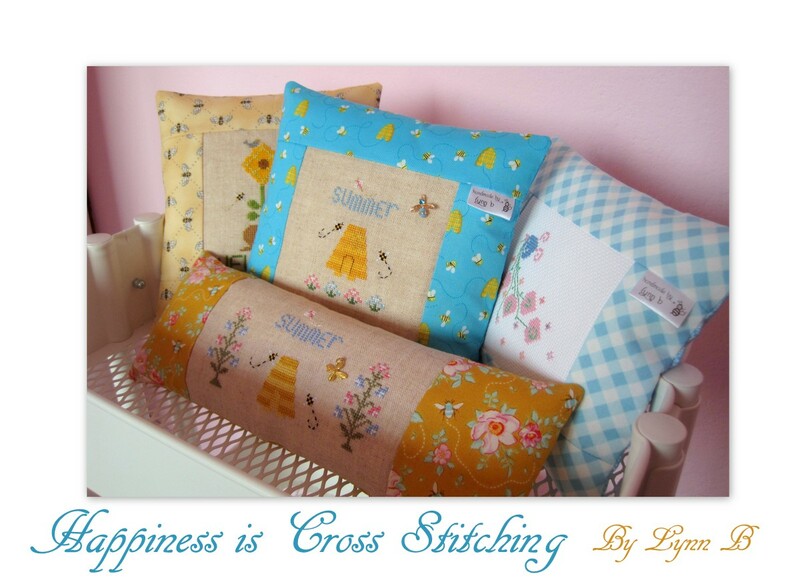 Lynn: So beautiful, I am sure your Mother will love it, you picked such lovely colors to stitch with. Lovely! Thanks Lynn :) And a happy mums day to you for Sunday! A very sweet design for Mother's Day and I love your colour selection. Luckily Mother's Day in Canada isn't until May, so I might have time to stitch it in time for this year....thanks Lynn! I tried to find the pattern on your Craftsy store for the Pillow and Scissor Fob, but I couldn't find it. Also, what size Aida fabric did you use? I really love it and would love to make it for my Mom. Sorry I cannot reply as you have not left an email address for a reply, I cannot remember the count of the fabric I used, it was linen not aida, probably 32 count linen. If you email me with an email address I maybe able to help some more. 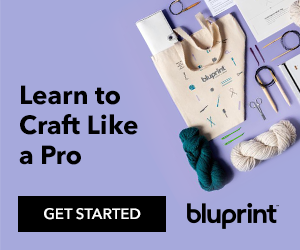 Last chance for Craftsy classes today! Lucky Pinkeep up for auction!